Shihan Shibata 5. Dan was this summer’s main instructor on our summercamp, this was his 5. Time in Tromsø and he is still going strong. 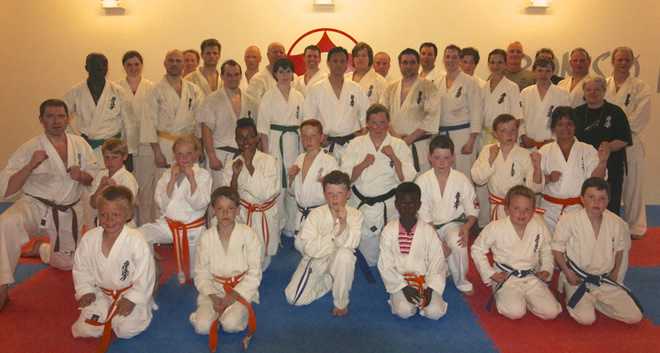 The camp took place in Tromsø Kyokushin dojo and 60 students took part. Most of the students were from our own dojo, but we had 3 visitors from Ryncyn dojo in Russia and 1 student from Finland. 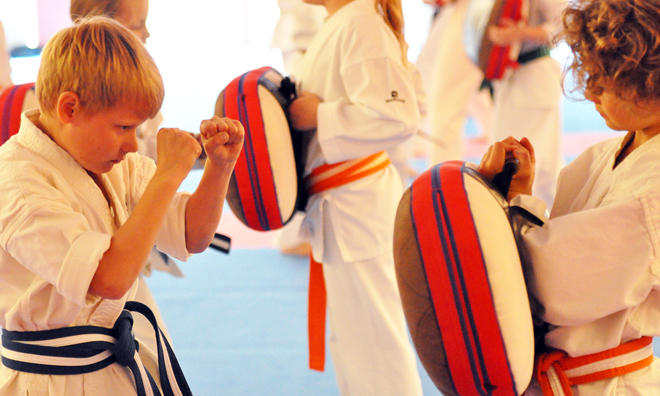 There was also students from two other Norwegian dojo`s. 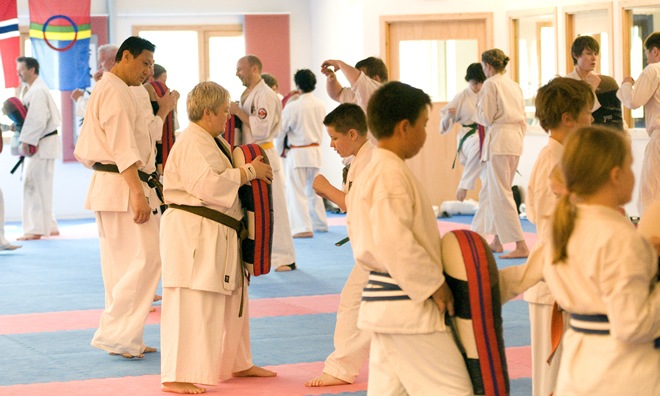 Shihan gave instructions in kihon, ido geiko, kata and kumite. 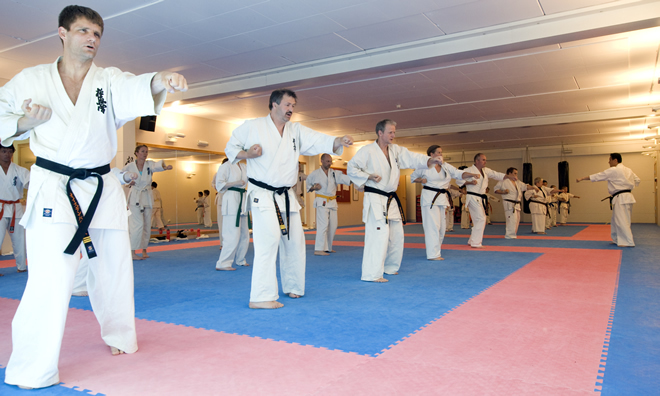 As always Shihan had good trainings with us, 1 Thursday and 3 Friday and Saturday. There was also a black belt class on Saturday where Shihan gave instructions in high grade kata. Sunday was Kyu test witch 39 students took part. Saturday after last training we had a social meeting with food at a restaurant where many took part.